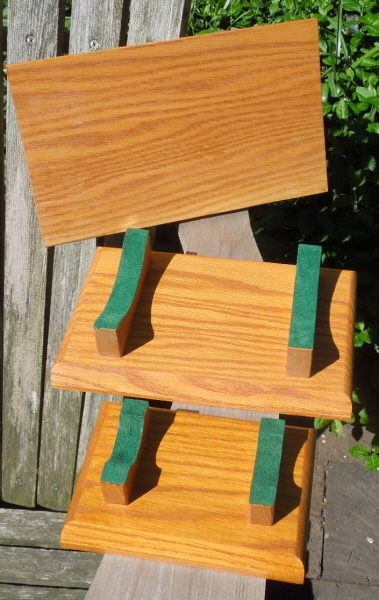 Description:Heavy duty display stands made of solid oak; no laminates. 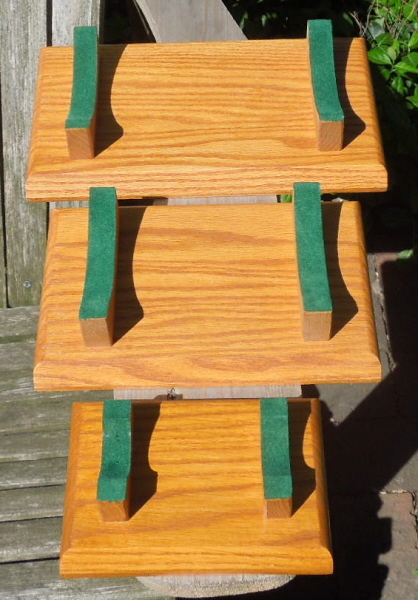 These are available in 3 sizes -- 5x7, 6.5x10 & 12x7 --and securely hold shells for display in a horizontal view. The stand is coated in lacquer and felt is added so no wood comes in contact with the relic. Also note the stand is made with a beveled front so if you desire you can inscribe with relic information or an informational plaque can be affixed. 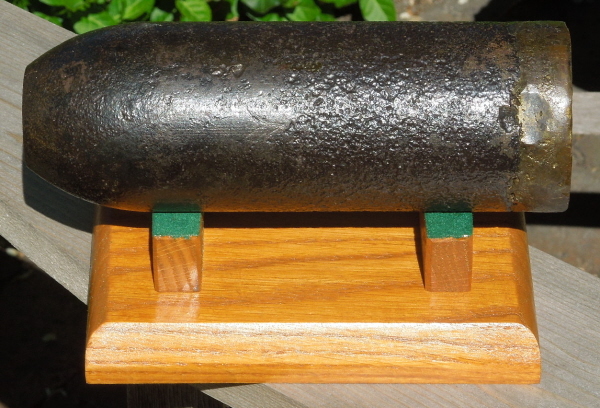 Shown are pictures of the small size holding a 10pdr Parrott and the large size holding a 100pdr Parrott. Presently, we have just a handful of these available, but if someone desires to make a large order, we can ship directly from the craftsman in bulk.